Messem brings transport to Madano, Shaffer hired by Hornbeam, Portland gets SNP man, Boswell-Smith joins Prime Global and more from PRWeek UK. 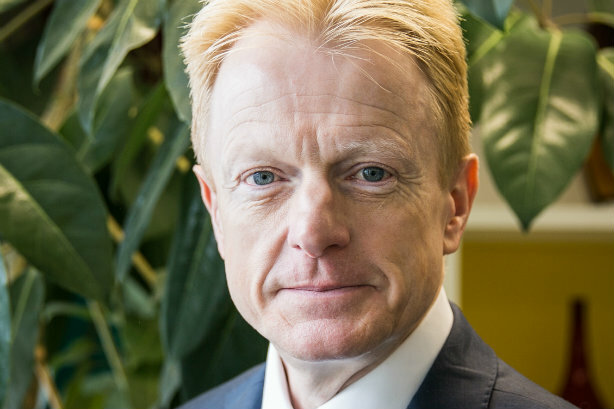 Darran Messem (pictured above) has joined Madano as director and head of its new transport practice, and as lead on the firm's sustainable development work. He joins from the non-profit Carbon Trust where he was MD of its certification business, and its international director. Messem is also chair of the Low Carbon Vehicle Partnership, a membership and delivery organisation sponsored by the UK Department for Transport. He has also worked for Shell, British Airways and OC&C Strategy Consultants. The Canadian-owned agency, sister firm to health specialists Axon, ranked 81st in the 2017 PRweek UK Top 150 and now has 35 staff. Gill Shaffer, who previously ran Mint Communications, has joined newly established food, farming and rural comms agency, Hornbeam. She is charged with growing the business in her specialist sectors of food and drink. Hornbeam launched nine months ago and clients include Cambridge architects Lyster Grillet and Harding, the East of England Agricultural Society and Merial Animal Health, a veterinary medicine manufacturer. It is led by MD Rebecca Dawson and is part of independent group Ferrier Pearce Creative Group. The Scottish National Party's head of research and policy in Westminster, Paul Robertson, has joined Portland's public affairs team as an account director. He had had his Westminster role for the SNP since 2015. Vicktoria Boswell-Smith has joined medical comms specialist Prime Global Group as vice president of client services, based in its London office. Boswell-Smith will also lead its Core Media and Paragon Medica brands, while VP Katherine Kibble is on maternity leave. Boswell-Smith joined in late August. She was previously medical education lead at 90Ten; the firm has now hired Alison Doughty to lead this area. Social mobility charity IntoUniversity and the Weston Charity Awards, which provide leadership support and funding to small, frontline charities have both appointed Think Communications to run year-long campaigns. Think, a virtual consultancy, which is led and was set up by Julie Kangisser, has also appointed Vicky Hatchett as a senior consultant on both projects. She previously worked for the Department for Work and Pensions, running pensions PR campaigns. Lowick, the agency set up earlier this year by Portland's Kevin McKeever, has appointed Matthew Faulding as a director. Faulding was previously deputy director of Progress, a group for members and supporters of the Labour Party. McKeever has twice stood as a Labour candidate for parliament. B2b and b2c agency Big Brand Ideas has appointed Abi Owers as head of engagement, and Anna Thomas as PR client strategy and deliver lead. Owers previously worked for McCann for a number of years. Thomas has worked for McCann but more recently was at Golley Slater, and most recently Plinkfizz. Cheshire's Outpost has been appointed by footwear brand Rockport to manage UK PR and social media. Outpost also works for Bear Grylls, Hunter Douglas and Ballyclare.